Today I’ve got one of the last drams from the whisky exchange show, in fact it was the very last whisky I tried. I can’t deny That Boutique-y Whisky Co. make some cool whisky, and have a pretty good selection but recently they really stepped the game up with age statements. Ones that I really wanted to try were the 27yo and 23yo Islay Blended Malt (with given components, which is great) and the 35yo Blended. I reviewed the 27yo Islay here already and have a bottle of the 23yo (review coming up, Spoiler alert: It’s great). 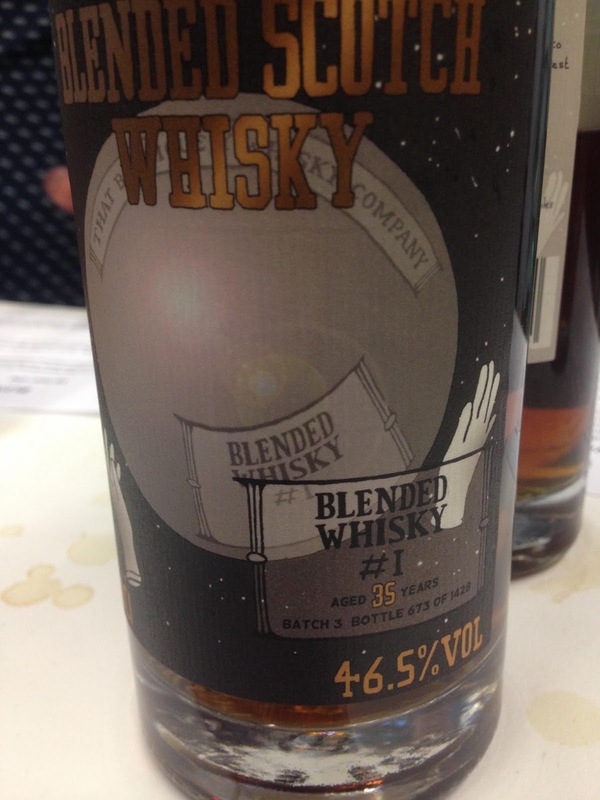 So this is the 35yo Blend, which has won some great awards in the past and some high scores from various people. Nose: Oooo it’s lovely old whisky. Classy, really. Lots of Sherry, oak of course but not overbearing, nicely integrated, antique furniture, polished wood, black tea tannins, cinnamon swirls. Taste: Full, classy and antique. Leather, black tea tannins, builds complex spice with nutmeg and cinnamon. Fruit all over too with black cherry and blackcurrant. Finish: Long length. Finishes strong on Sherry and stewed tea, lots of oak too. Great old whisky. Great integration of Sherry and oak, good complexity and power thanks to the abv. To me this didn’t really taste like a blend at all, more like a 35yo single malt. This seem like pretty good value for £120 (still available from MoM), but would be great to compare to Lidl’s 35yo Blended Sherry Finish at half the price. Thanks for reading! Something even older up next! !